We are the Authorized Representatives of MBBSenquiry. We provide complete guidance regarding Study in Carribean. We assist our students for Coaching, Admissions, Visas and entire process from start to end for Study in Caribbean. Advantage of Studying at Caribbean & USA. Study PG in USA & UK, 100% Free with Stipend. University follows the US curriculum which enables their students to follow the USMLE course pattern and allows them to practice in the USA as Resident Physicians after clearing the USMLE – II. 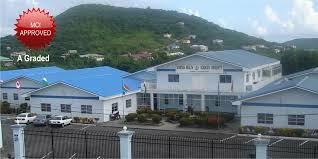 If any student plans to come back to India after completion of the course then they have to do the complete 4 years program in Curacao campus and clear the MCI screening test in India. University prepares the students for the MCI Screening as part of the curriculum if they plan to choose to come back to India. 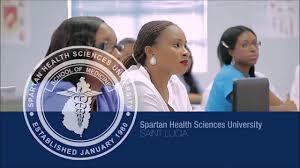 SMU offers the 4 years medical course – MBBS in, Caribbean Islands. 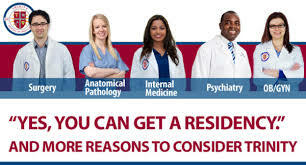 The curriculum that is taught in the university is very much identical to US and UK medical schools that include the basic sciences in Curacao and Clinical Rotation in US or UK or Caribbean (depends where student wants to go). SMU is recognized by World Health Organization (WHO), Education Commission for Foreign Medical Graduates, USA (ECFMG), General Medical Council, U.K. (GMC) and the Medical Council of India (MCI) for eligibility of MCI Screening Test also, however till now 100% of their students have chosen to clear the USMLE (US Medical Licensing Examination) and work in USA during their residency (PG) where they get paid a minimum stipend of USD 47,750/- per year. Minimum 50% in 12th grade from Indian Central and State Boards (with Biology, Physics and Chemistry). If the student percentage is less than they can sit for Entrance Test.